What is the reality “on the ground”? How can caring and thinking people speak out and push back? Immigration policy in the era of Trump: Where do things stand in North Carolina? What is the reality “on the ground”? How can caring and thinking people speak out and push back? The presidency of Barack Obama was no picnic for American immigrants. 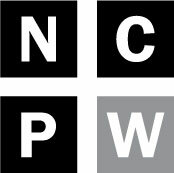 Despite the incessant and inaccurate attacks of nativist voices (including the current inhabitant of the White House), the Obama administration actually brought about more deportations of unauthorized immigrants than occurred under any previous president – often with only the barest minimum of due process and devastating human carnage resulting. Tragically, however, things have gone from badly flawed to dreadful under the administration of Donald Trump. Not only has the new president rushed to implement discriminatory and high profile policies targeting refugees from Muslim-majority countries, he has pushed less visible but still hugely destructive rule and policy changes that are negatively impacting the health and wellbeing of millions of other men, women and children from scores of countries – many of whom who have lived as productive and loyal Americans for decades. 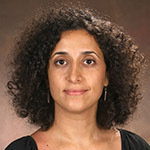 Dr. Diya Abdo – A first-generation Palestinian born and raised in Jordan, Diya Abdo is associate professor of English and Chair of the Department of English and Creative Writing at Guilford College in Greensboro, NC. She is the founder and director of Every Campus a Refuge, a Guilford College Center for Principled Problem Solving initiative which advocates for housing refugees on campus grounds and assisting them in resettlement. Diya’s teaching, research and scholarship focus on Arab women writers and Arab and Islamic feminisms. Dr. Julie Linton, M.D. – Julie M. Linton, MD, FAAP, is an academic general pediatrician with a career devoted to community pediatrics, medical education, and advocacy. An Assistant Professor of Pediatrics at the Wake Forest School of Medicine, Dr. Linton works in the primary care setting and serves as the Advocacy Director for the Wake Forest Pediatric Residency Program. Dr. Linton is Co-Chair of the AAP Immigrant Health Special Interest Group and a member of the AAP Executive Committee for the Council on Community Pediatrics. She is a co-author of the AAP Immigrant Health Toolkit and two AAP policy statements: “Promoting Food Security for All Children” and “Promoting Food Security for All Children.” Dr. Linton co-founded and co-chairs the Forsyth County Refugee Health Collaborative. Raul Pinto – Raul Pinto is one of North Carolina’s most knowledgeable, visible and important advocates on behalf of the rights of immigrants. He is also a staff attorney at the North Carolina Justice Center’s Immigrants and Refugees Rights Project where he represents low-income individuals negotiating the immigration system. Prior to joining the Justice Center, Raul worked as an attorney with the American Civil Liberties Union of North Carolina. Don’t miss this very special event at this important moment. When: Tuesday, April 18 at 8:30 a.m. — breakfast will be available at 8:15 a.m.